I knew that they did expire after a year, but never really thought about (until now) how to go about renewing them. Luckily Microsoft documentation nowadays is a lot better than it used to be. I found this walk through https://msdn.microsoft.com/en-us/library/office/dn726681.aspx. In case Microsoft takes the link down, or changes the URL, I will explain the steps below. I have also changed the code slightly for the Report on Client ID expiry dates, as the Microsoft one didn’t return the results I expected. Report on Client ID expiry dates. You can generate a report that list each add-in in the tenant with the date that the secret expires with the following PowerShelll code. The above code first filters out Microsoft’s own applications, add-ins still under development (and a now-deprecated type of add-in that was called autohosted). 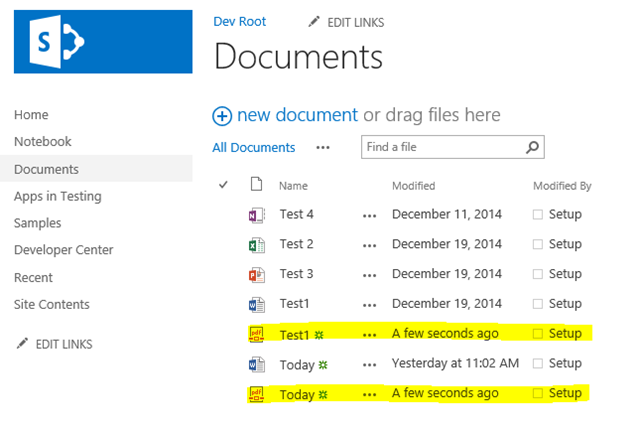 Filters out non-SharePoint add-ins and add-in like workflow. Open the file at c:\temp\appsec.text to see the report. Generate a new secret for another year. Generate a new secret for 3 years. It is possible to create a secret that will last 3 years, the PowerShell script is very similar to the above script, but now it has a start and end date. If you are just updating directly in Azure, you can just go to the configurations and update the new secret there. If you are using the default TokenHelper.cs file in your project, and it’s not the prerelease version then you can add a second app setting called SecondaryClientSecret. Here you would put in your old secret, and in the ClientSecret put in the new one. This is so if your token is going to expire soon, the application will still work as it will try one first then the other. According the Microsoft link you should wait at least 24 hours to propagate the ClientSecret. However, I found as soon as I changed the secret I could use it straight away. After changing your Client Secret if you run the ‘Report on Client ID expiry dates’ powershell again, those dates didn’t update for me until the following day. I ran the report the following day, and as you can see below, Demo App 1 which was shown in the screen shot above now has 3 new keys with new dates. As expired client secrets do not seem to get removed, it is recommended to delete them. The code below will grab any keys that are expired for a ClientID and delete them. This is the final post in this series, I’ve shown you how to set up Word and PowerPoint Automation, how to convert Word and PowerPoint to PDF, and in the last blog post I showed you how to merge all your pdf’s into one. This post is to demonstrate how to create a PDF page using ITextSharp. ITextSharp is a port of the iText open source java library for PDF generation written entirely in C# for the .NET platform. http://itextpdf.com. Please see my previous blog on how to add the itextsharp dll to the Visual Studio project. In this demonstration, I will read in the first item of a list, and then copy all the visible columns by creating a table like structure which will be saved in my document library as a PDF file. The purpose of this post is to introduce to you what you can do with ITextSharp, there is plenty I don’t know about ITextSharp, and I’ve only learnt enough to solve my proof of concept I was doing for a client. If you are interested in ITextSharp, I’d recommend you look up books by Bruno Lowagie. First, I have created a contact list, and added a single person to this list. Continuing with my previous Visual Studio solution, I have added a new visual web part. It simply has a text box for the user to enter the list which it will take the first item from and convert to PDF in the Shared document library, and a button that will fire off the event to convert the item. Below is the code and comments explaining what is happening at different stages of the code. //Get Current Web context and get Document and user chosen list. //Check if lists are not null, then call code to convert. //Perform Query to return 1 item. //Get Title name, using default Guid for Title, to create a filename. //Creating the Document in memory first. //Using the ItextSharp PdfWriter to create an instance of the document using the memory stream. //Open the document otherwise you won't be able to add to it. //Create the first Cell, make it span across 2 columns. //Add the cell to the table. //Loop through all the fields in the collection. //Obtain the value of the given field. //We are only showing if there is a value and the field/column isn't hidden. //Create a cell and just put the title of the column in it. //Depending on the type of file, depends how we want to add it to the pdf. //URL to display within the PDF as a URL. //A chunk can have an Anchor tag added to it. //add chunk to the cell. //add the cell to the table. Because this is the second cell added to the table, it is aware that it's the right cell. //Date Time to display a valid date time format. //Parse the date time to full date and time. //Default captures all other type of field types, numbers, text, etc. //Add the table to the document and close the document. //Convert the final memory stream into a byte array. Once the code is deployed, web part added to the page and ran, I get a pdf file named after the contact’s surname. If I open the file, I have a table like structure within my PDF displaying all the columns I expected. I’m not going to win any awards for style, however check out the resource link at the bottom of this post to learn ways of jazzing up your tables. Following on from my last Farm Solution, I have extended the solution by adding another button that when clicked, it looks up the document library and grabs all pdf files. Looping through each file, copies each pdf to a memory stream, once it have completely looped through each file, it then saves the file back to the SharePoint library. The advantage of using ITextSharp dll, is that you could create a provider hosted SharePoint App, and therefore create this merge functionality in Office 365. Unfortunately, I’m not showing you how to do this in this demo. The Shared Document library for my site, I already have pdf’s files from my previous demos. This will open the Manage NuGet Packages dialog. Type in the Search Online Box for ITextSharp, the top result should be ITextSharp. Just click the Install button, and accept the License Acceptance. This will add the itextsharp reference to your project. All that remains is to ensure that this dll is deployed to the GAC. Double Click on the Package.Package file in your project. //Folder not found so create it. //CAML Query to return all pdf file types. //Open the document before any changes can be made. //Import the page to the PDF document in the memory stream. //Create a new file in the Merged folder called combined.pdf from the byte array. I used a helper method to check if folder exists and another method to return the found folder. I have pinched this method and converted to work on an on-premise code from the OfficeDevPnP code. (I can’t take credit for this). //Pass in folder and folder we are looking for. //This code is almost identical to Does folder exist, except instead of return true/false it returns the folder or null. As you can see from my screen shot, I now have a document called combined.pdf sitting in my Merged folder inside my Shared Document library. 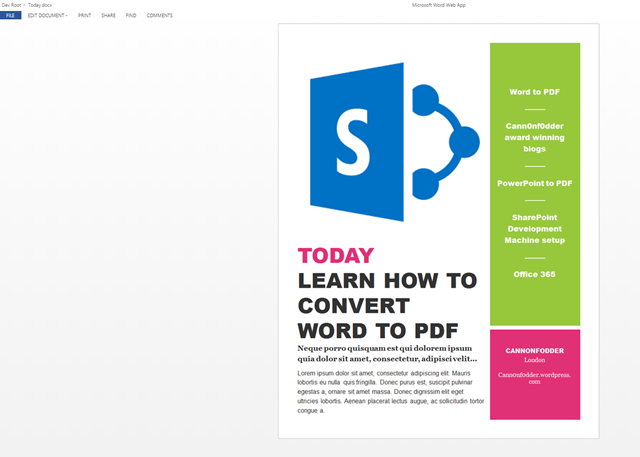 In my last post, I showed you how to convert a Word document to PDF. In this post I’m going to walk through the code that you can use to convert your PowerPoint document to PDF. Following on from my last Farm Solution, I have extended the solution by adding another button that when clicked, it looks up the document library and grabs all the PowerPoint documents. Looping through each PowerPoint document it finds, it converts them to PDF and then saves them back to the same library. As before, there is no current way of performing this in Office 365. The Shared Document library for my site, I have added two PowerPoint documents to my library. Test 3 is a simple PowerPoint slide that has some text. And the second PowerPoint document is a “Create an Office Mix” Template created in PowerPoint. As with my word demo, this is just so you can see pictures and layouts converted correctly. //Perform a SPQuery that returns only PowerPoint Documents. //Include all subfolders so include Recursive Scope. //Check that there are any documents to convert. //Create the conversion request, configure settings. //Perform conversion, opening stream, passing in settings and destination stream. //Send the request synchronusly, passing in null value for the callback parameter and caputring the response in result object. After typing in the Document Library name and clicking the button, the PowerPoint documents have been converted to PDF. In my previous posts, I showed you how to set up your environment so that you could perform Word or PowerPoint conversion to PDF. In this post I’m going to walk through the code that you can use to convert your word document to PDF. I have put together a simple Farm Solution that although it is performing a bulk conversion of Word Documents to PDF, it does it synchronously. There is currently no possible way of doing this process within Office 365, well not without using an on premise farm to perform the actual conversion for you. I have built a simple visual web part (maybe in a real world scenario this might be a button on the ribbon of the library, or you perform a event receiver on the list that converts any word document to pdf), that has textbox for a user to enter the document library they wish to convert Word Documents to PDF, and a button. The button click calls then looks up the document library, grab all word documents then loops through each word document converting to PDF and then save it back to the same library. The Shared Document library for my site, I have added two word documents to my library. One is a simple test document that says “hello you”. And a second document that is actually an “Event Flyer” Template created in Microsoft Word, and edited slightly. This is just so that you can see pictures and layouts conversion too. //This is the name of your Word Automation Service within Central Admin. If you have followed my setup yours will be called WAS too. //Perform a SPQuery that returns only Word Documents. //Perform the conversion in memory first, therefore we require a MemoryStream. //Call the syncConverter class, passing in the name of the Word Automation Service for your Farm. //Pass in your User Token or credentials under which this conversion job is executed. //Convert to PDF by opening the file stream, and then converting to the destination memory stream. //File conversion successful, then add the memory stream to the SharePoint list. After typing in the Document library name and clicking the button, the word document have been converted to PDF. Microsoft PowerPoint Automation Services is a new feature of Microsoft SharePoint Server 2013. 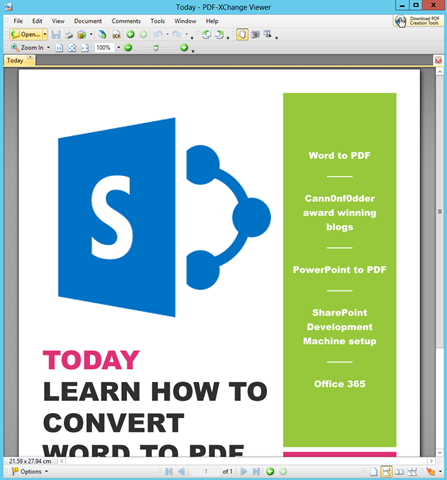 Using PowerPoint Automation Services, you can convert PowerPoint (.pptx and .ppt) file to supported document formats (.pptx, .pdf, .xps, .jpg and .png).This blog post will walk you through the steps of setting up your SharePoint 2013 on premise farm to use PowerPoint Automation Services. Unlike with Word Automation Services, this cannot be configured from inside Central Admin. To create this service PowerShell must be used. 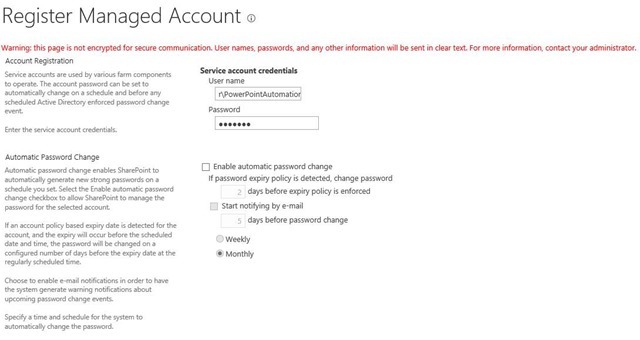 This feature is not available with SharePoint Online.Before you start, ensure in your AD you have created a service account. Mine is called PowerPointAutomation. Open up a PowerShell command window or PowerShell ISE. Your Managed Account will now be registered with SharePoint. Once complete your powershell window should look similar to mine below. 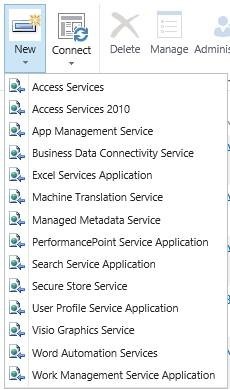 Also if you navigate in Central Administration back to your Service Applications, you will now see the PowerPoint Conversion Service Application and Proxy within the list. For the PowerPoint Conversion Service to work, you will need create a new folder called PowerPointConversion on the server running the PowerPoint Conversion Service in the following location. C:\ProgramData\Microsoft\SharePoint. 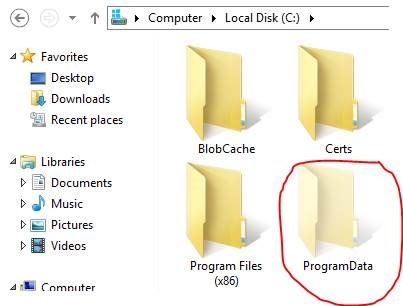 This folder directory is a hidden folder and you will need to show Hidden items in the ribbon of explorer to see it. Once you have created this folder, view the security on this folder (Right click folder, click Properties, view the Security Tab) and give WSS_WPG Modify permissions. 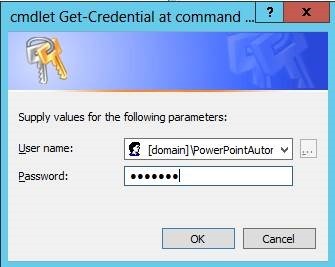 This will allow the Web Application pool service account to create folders and files within the newly created PowerPointConversion folder, which is required to convert a PowerPoint document. Lastly in Central Administration, under system Settings click on Manage Services on Server, and ensure that you have started PowerPoint Conversion Service. In Part 4 of these blog posts I will demo how to code against the PowerPoint Automation Services to convert PowerPoint Documents to PDF. Word Automation Services for SharePoint 2013 is a SharePoint Service Application and it gives developers a way to perform server-side conversion of documents that are supported by Microsoft Word. This service was available in SharePoint 2010, however the newer version now allows on demand file conversions and converting streams to files. (Steams with Word Automation Service can only be used with on demand conversions, not Timer job-based requests. This blog post will walk you through the steps of setting up your SharePoint 2013 on premise farm to use Word Automation Services. This feature is not available with SharePoint Online. Before you start, ensure in your AD you have created a service account. Mine is called WordAutomation. Once created your Word Automation Services and Proxy will be displayed in the Service Applications list. When you click WAS link you will be taken through to the configuration of the Word Automation Services. You will not need to change any of this to start using the Word Automation Services, however it is useful looking over these settings in case you need to change them in the future. Lastly, in Central Administration, under System Settings, click on Services on Server, and ensure that you have Started the Word Automation Services. In Part 3 of these blog posts I will demo how to code against the Word Automation Services to convert Word Documents to PDF.